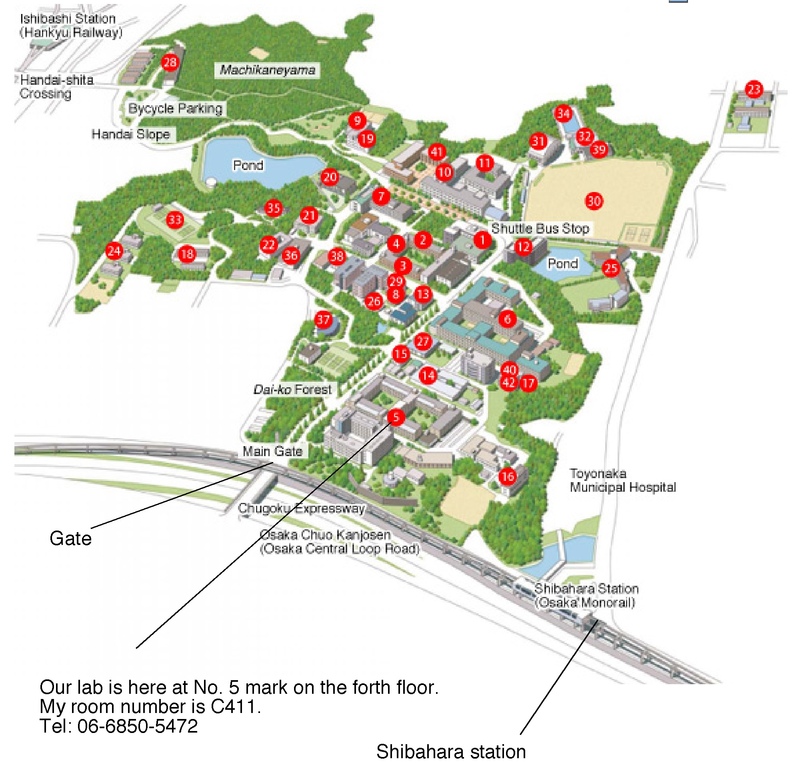 Our lab is in Toyonaka campus. You will see the Shibahara station in the map. Our lab is jut 5 min walk form the station. Our lab locates close to the red mark No. 5. Our lab is in the fourth floor. Take Sinkansen to Shin-Osaka station. Then take Kita-Osaka Kyuko railway to Senri-chuo station. In Senri-chuo, the monorail station is in five minute walk distance. Transfer to Osaka monorail and go to Shibahara station. Take express train from platform No. 4 or 5 or 6 at Hankyu Umeda station. It will take 23 min to Hotarugaike station. Transfer there to Osaka monorail. You are going to Shibahara station. Shibahara is the next station to Hotarugaike.